Resource center What Is Xanax Used to Treat? According to the National Institute of Mental Health (NIMH), more than 18 percent of adults will experience some kind of anxiety disorder in any given year. This makes chronic anxiety one of the most common psychological disorders. Xanax is a drug that is often prescribed to treat anxiety disorders, and is, as a result, one of the most prescribed medications in the US. Xanax is also a potentially dangerous addictive substance. Knowing more about this medication and its risks can help make people more aware of how Xanax is used, the potential for abuse, the dangers of addiction, and the safest ways to treat and recover from addiction. Xanax is the brand name of a prescription drug called alprazolam, which is categorized as a benzodiazepine, or benzo for short. The action of alprazolam is to bind with and alter gamma-aminobutyric acid (GABA) receptors in the brain, increasing GABA action and helping calm overexcited nerves. Benzodiazepine drugs are some of the most commonly prescribed medications, used most often to treat panic or anxiety disorders, usually for a short period of time. Xanax and other benzos are usually used for short-term or intermittent use – that is, they are used for brief periods or even started and stopped by the person taking them. This means they can be taken only when the symptoms of anxiety flare, rather than all the time. Intermittent use of Xanax is possible because the half-life of alprazolam is only about 11-12 hours, according to the Federal Drug Administration’s drug information for Xanax. This means that the medicine can reach the brain and take effect very quickly. This is part of the reason that it can be easily used intermittently, but it is also part of the reason that Xanax can so easily become addictive. The drug reaches and acts on the brain very quickly. If it is then used regularly for a long time, it causes the body to adapt more quickly and reach a level of tolerance, which can then lead to problems described below. Xanax Abuse: Who Is at Risk? People with a history of drug addiction or abuse are particularly at risk for addiction to Xanax and other benzos. In addition, because of the way alprazolam behaves in the body, many others who take it could potentially be at risk for abuse. According to a study review from Current Opinion in Psychiatry, use of alprazolam for more than four weeks can cause the body to begin producing less of its own GABA chemicals, resulting in tolerance, and dependence on, the drug. This means that the person taking it will begin to feel that more of the drug is needed to produce the same effect. As tolerance and dependence on the drug increase, the person takes more and more to try to feel the same way, becoming addicted to the substance as a result. Others who are more recently at risk for abuse of Xanax are described as members of the “club” scene. An article in Drug and Alcohol Dependence demonstrates that adults 18-29 who frequent clubs and engage in polydrug use exhibit the highest amount of benzo abuse among adults. This is dangerous because using benzos like Xanax in combination with alcohol and other drugs like opiates can increase the relaxant effect and result in diminished brain activity or even death. 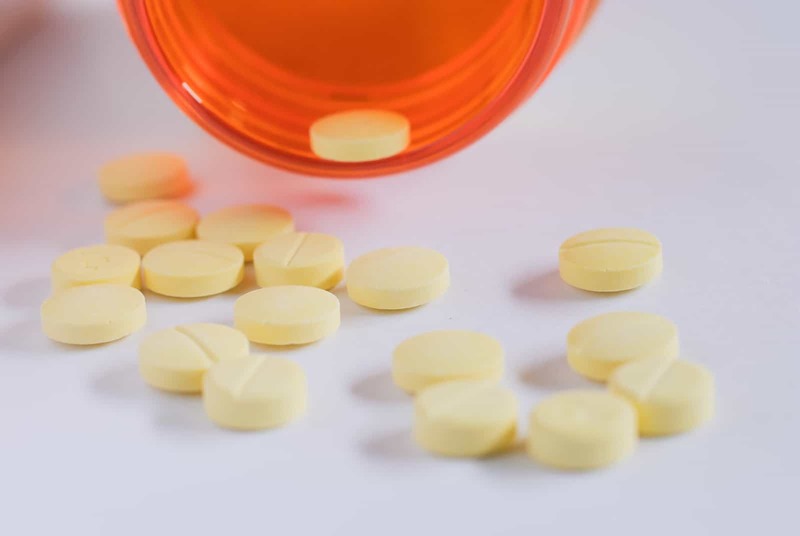 The biggest signs of addiction to Xanax or other benzos include a desire to continue increasing dosage and an inability to stop taking the medication without experiencing extreme withdrawal symptoms. For someone who is concerned that a loved one may be addicted to benzos, this might manifest in the person running out of the prescription early or hiding or stealing the drug. These symptoms can be extremely uncomfortable and often prevent the addicted person from wanting to stop use of the drug. On the other hand, if a person who is struggling with addiction to Xanax decides to stop taking the drug abruptly, these withdrawal symptoms can be extremely dangerous. As a result, medical detox is always required for cases of Xanax abuse and addiction. Because of the severity of withdrawal symptoms that are possible when stopping Xanax use, there is a risk to quitting use abruptly. The more extreme symptoms, such as seizures and psychosis, can result in death if not managed by professional medical personnel. More intense withdrawal symptoms are not only related to heavy use of Xanax or other benzos, however. The Journal of Clinical Psychiatry reports that even long-term low-dose benzo use can cause problems, due to the changes that such use can cause in brain chemistry. This can be more complicated in the case of a person who is using other substances as well as Xanax. Abuse of alcohol or opiates at the same time as Xanax use can increase the risk of serious health issues or death, and it can also compound detox and make the withdrawal process more dangerous. For all these reasons, a person who wants to stop using Xanax is best off doing so with professional medical assistance, which will likely involve tapering off the drug as well as other sources of support to prevent the most severe withdrawal reactions. Because of the dangers and risks of withdrawing from Xanax and other benzos, most experts recommend residential treatment programs. These comprehensive care programs can help those who are struggling with addiction to recover and maintain abstinence from abusive substances. With this kind of treatment, an individual struggling with addiction to Xanax can safely detox, learn to control cravings and the situations that lead to relapse, and move forward into long-term recovery from addiction.